The Mashru fabric is a vibrant, handwoven mix of Silk and Cotton textiles. The word ‘Mashru’ means ‘permitted’ in Arabic and its Sanskrit variation ‘Misru’ means ‘mixed. 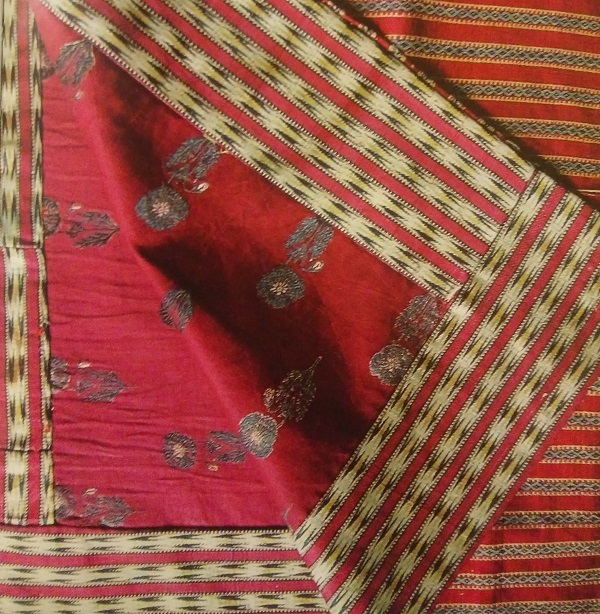 The weaving of Mashru fabric was practiced across the country in different forms; from Deccan to Lucknow to Bengal. Nowadays, only weavers from the small towns of Gujarat, mainly Patan and Mandvi practice this craft. 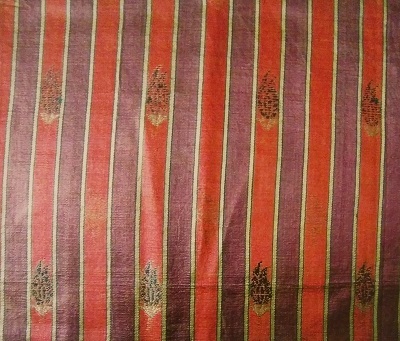 The term mashru refers to a mixed fabric that was woven with a silk warp and cotton weft textile and was used by Muslim men who were prohibited by a hadith, rule, to wear pure silk fabric. As the silk yarns were on the outer side while the cotton yarns were worn close to the body, these textiles were considered derived “lawful and permitted by sacred law” or mashru; this Arabic word therefore came to be the name of the textile. Mashru fabric is made using satin weave by interlacing silk and cotton yarns. Cotton makes the weft, or the horizontal yarns while silk is used for the warp, or the vertical yarns. In this weave, each silk yarn goes under one cotton yarn and above five or eight or more cotton yarns, giving an appearance of a shiny surface that looks like it is made up of only silk, while the underside of the fabric is cotton. Since the structure of the fabric allows for more yarns in a given area, it also makes the fabric stronger. With time, the designs of Mashru have become simpler. Multi hued ikats and patterned stripes are uncommon now, and replacing them are brighter, bold stripes or small dots, along with solid coloured fabrics. 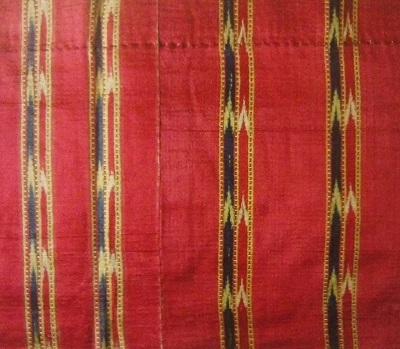 In addition to being exported as a coveted item of men’s clothing in Turkey and the Middle East, mashru was also used by the folk communities of Kachchh to stitch garments for their dowry. Due to a decline in the export market, the silk was soon replaced by a cheaper substitute, rayon. Although once woven in many areas of the Indian subcontinent, the tradition of weaving mashru today survives only in Patan, north Gujarat and Mandvi in Kachchh district, both places in need of revitalization. Mashru fabrics are effectively teamed with embroidered cotton textiles to create the festive apparel of the Rabaris of Kachchh. The port town of Mandvi is at the center of Mashroo legacy in Kachchh, historically creating luxurious bolts of the fabric that Muslims and Hindus enjoyed. In the regions of Saurashtra and Kachchh , women stitch mashroo kanjari (backless blouses), skirts, and cholis. Mashroo helped weave communities together. The Ahir Patels (farmers) produced cotton, which was handspun and then given the the weavers. Rabari and Ahir women did embroidery and mirror work to create even more distinctive versions of mashroo. Mashroo was a royal craft, produced in large quantities until the 1900’s for local elite and export markets. Traditionally used in garments, Mashru is also used for making quilts, cushions and bags. The craftsmen have also developed new designs, by tie-dyeing the fabric using ‘Bandhani’ technique.